A common and desirable benefit of the horehound herb is its effectiveness as an expectorant to aid the discharge of congestive materials from the lungs. This is but one of the many ways that horehound has been used to support good health throughout history. 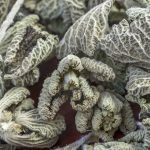 Since its first documented use in Roman times, many people have found it easy to gain health benefits from horehound since nearly every part of the plant is usable and there is a variety of preparation methods. White horehound is a bitter herb from the mint family that grows like a weed in many areas of the world. Horehound is an aromatic green plant, which produces many branching, square stems that often outgrow other field vegetation to be nearly two feet tall. Pairs of one-inch long leaves grow out of the stems in opposite directions. Between June and August, clusters of densely packed, small, white flowers bloom around the stems where the pairs of leaves attach. The flowers become seed-containing burrs, which have tiny barbs, allowing the seeds attach to animals, clothing, and machinery. Some suggest that the Egyptian god Horus could be a reason for its name. 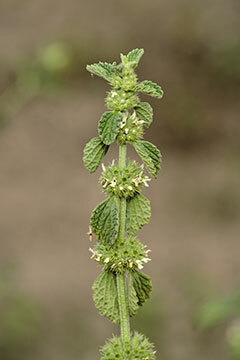 Priests in ancient Egypt may have called horehound the seed of Horus and used it in an antidote formula for poison, as did Caesar in the Roman era. Legend indicates that horehound aided priests during rituals in Egypt. Ancient lore gives horehound a power to break magic spells. Recorded mention of horehound began in the first century in ancient Rome. In his manual of medicine, Roman medical writer A. Cornelius Celsus, described antiseptic uses as well as treatments for respiratory ailments using horehound juice. In his book, “On Agriculture,” first century agriculturist Lucius Columella detailed how to use of horehound for various farm animal ailments such as ulcers, worms, and scabs. In the second century, the noted physician Galen also recommended using horehound to relieve coughing and to support respiratory health. Being a hardy perennial that grows well in dry soil, this highly recommended plant did not need help to spread beyond the Mediterranean region. Over the centuries, horehound flourished in all of Europe, South Africa, India, and other parts of Asia. It is now widely distributed in North and South America and Australia, although horehound is not native to these continents. Aiding the spread of horehound even more is the herb’s bitterness, which resists animal grazing. Horehound can be invasive, as in Australia where it is considered a bothersome weed. Horehound’s reputation spread as well. Taking horehound for a cough or a cold was one of the natural remedies used by the early settlers of Australia. 18th century American physicians who recommended herbs touted its value for those with respiratory ailments and for menstrual problems. In the 1800’s in North America, horehound was used for those with hysteria and lung problems. Native American tribes have had many uses for horehound. Records show that ten tribes used it to treat various respiratory ailments, including two tribes which had a specific mixture for children’s colds. Some tribes used also horehound as a kidney flush, as a skin ointment, and as an antidiarrheal. These traditional Native American remedies were prepared from the leaves and flowers of the horehound and sometimes the root or the whole plant. Horehound was taken in the form of teas, extracts, and syrups for internal use and salves or poultices for external use. The Navajo tribe found additional value in horehound for stomach aches, influenza, infection, and as a gynecological aid before and after childbirth. Other beneficial results have been claimed for the use of horehound. These claims include: relieving pain, promoting good digestion, reducing bloating, improving the appetite, stimulating bile flow, lowering blood pressure, vasorelaxant, reducing spasms (antispasmodic), killing intestinal parasites, easing morning sickness, relieving nausea or vomiting, and more. Of course, relief from these conditions is not guaranteed and a qualified healthcare practitioner should evaluate any serious symptom. The support for these favorable effects has been largely anecdotal, and based upon tradition, scientific theory, or the reputation of horehound as an effective folk remedy. These reasons were sufficient to encourage the use of horehound well into the 20th century. In the industrial age, its reputation led to the production of extracts, teas, cough drops, and cough syrups containing horehound per some folk recipes. Early in 21st century, however, few Americans seem to know anything about horehound or its history of supporting health. Despite recommendations and assertions of beneficial usage over many centuries, the use of horehound has surprisingly little support in clinical research and medical studies. Double blind human trials are yet needed to confirm or deny the valuable benefits that have been claimed for horehound. Neither has modern research made definitive findings concerning the toxicity, side effects, or proper dosage of horehound. Aiding horehound’s fall into relative obscurity was the 1989 FDA ruling on the use of non-prescription cough and cold medicines. The FDA approved just one of about 20 expectorant ingredients and did not find the others, including horehound, to be useful. According to this ruling, all non-prescription products containing the ingredients deemed ineffective must be taken off the market. However, cough suppressant products made outside the US which contain horehound, such as Ricola, continue to be sold in the US. In 1990, one year after the FDA’s ruling in the US, Germany’s Commission E listed loss of appetite and dyspepsia (indigestion) as acceptable uses for horehound. The 24 research scientists appointed to served on Commission E were to determine safe and effective herbal medicines; only approved herbs would be legal to sell in Germany. In identifying active components in horehound, the committee wrote that “[marrubiin] acts as a gastric juice stimulant and marrubinic acid acts as a choleretic [bile stimulant].” They found no known side effects, contraindications, or drug interactions. Notably, Commission E approved horehound to support gastrointestinal health, but they did not stand in opposition to the FDA ruling by approving horehound to support respiratory health, which they identified as unproven folk medicine. Because clinical proof is now required and because of the FDA ruling, past claims made for horehound’s effectiveness are called into question. Yet, Marrubium vulgare (white horehound) has been the subject of some clinical research and, in light of the claims made for horehound, it is important to review these studies. While they are certainly not proof, in fact the evidence is said to be very weak, many publicly available online studies seem to offer support for horehound’s tradition of beneficial usage. A health site quite reserved in its promotion of horehound, noted that “there is promising early evidence favoring the use of white horehound as a hypoglycemic agent for diabetes mellitus, and as a non-opioid pain reliever.” The following review of clinical findings on horehound will start with those two possible benefits. Researchers in Brazil analyzed the “antinociceptive [pain-relieving] profile of marrubiin, the main constituent of [Marrubium vulgare] … in mice. The scientists successfully formed “marrubiinic acid and two esterified derivatives … Marrubiinic acid showed better activity and excellent yield, and its analgesic effect was confirmed in other experimental models of pain in mice, suggesting its possible use as a model to obtain new and potent analgesic agents. Together with the clinical summaries, such statements show that a large number of the traditional claims for the effectiveness of horehound are not dismissed by scientists, but are clearly acknowledged as a reason for their further research. Yet, it is also clear that much more research is needed to prove horehound effective by FDA standards. The entire plant can be used medicinally. Horehound is available fresh, dried, powdered, in capsules, as an extract, or as a pressed juice. When harvesting horehound, cut the plant when the buds of the flower appear. Immediately chop the horehound and then seal it in jars as soon as it has dried. Horehound can be made into candies, syrups, teas, and used as a flavoring. For these recipes, adjust amounts to strengthen to taste. Since horehound is quite bitter, most will add sweetener to taste. Tea: Pour boiling water on dried or bruised fresh leaves, one ounce of herb to a pint of water. Infusion: Pour two cups of boiling water onto 1-2 ounces of dried horehound, cover and allow to steep for 10-15 minutes then strain. In a glass jar, soak fresh leaves in alcohol. Store in a dark place and shake the mixture several times daily. After about two weeks, strain the liquid with cheesecloth and store it in a tightly-sealed, dark glass bottle, preferably one with an eye-dropper. 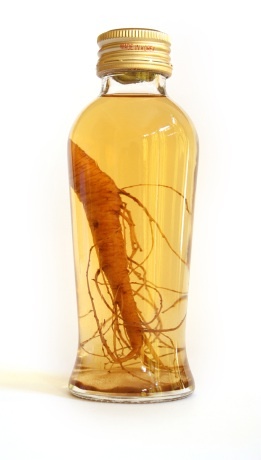 For an extract, dilute fresh horehound with 20% ethanol in a 1:1 ratio. For a tincture, dilute fresh horehound with Vodka in a 1:5 ratio. Snack: Mix chopped, fresh horehound with a little honey to chew and swallow. Candy: Add sugar to an infusion of the leaves and boil it thickens. Pour it into a pan and cut into squares after it cools. Syrup: Begin with a double-strength infusion using the fresh herb and add 24 ounces of sweetener – 12 ounces each of honey and brown sugar – for each 2.5 cups of the horehound infusion. Heat and stir the mixture as it thickens. After the mixture cools, refrigerate in glass bottles. Syrup: one teaspoonful three times a day or 2-4ml. Dried herb: 1-2 grams or by infusion. Tincture: 3-6ml or 10–12 drops in water up to three times a day. An infusion is sometimes used externally as a wash, or a salve of horehound salve can be prepared, to disinfect wounds or for minor skin irritations. 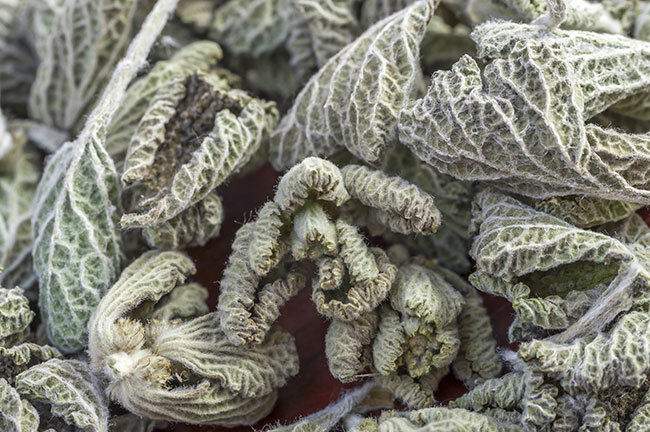 A cold infusion of white horehound acts is said to stimulate the bile flow of bile, while a warm infusion could aid sweating or possible break fevers. Online retailers sell horehound in various forms. Prices vary with retailer. Liquid Extract: 7$ per ounce. Cut tea: $1 per ounce, cheaper in bulk. Cut and Sifted: $8 – $12 for 1 pound and $12 – $25 for organic. Tea bags: 4$ for 25 bags. Candy: $15 for 12 ounce tin or $3 per pound in bulk. Capsules: $5 for 60 capsules containing 750mg horehound leaves. Horehound has a tradition safe usage; its effectiveness is the main reason for concern. If it works as a digestive aid, horehound use may upset people with ulcers or stomach problems. Also, excessive use of horehound may increase the risk of abnormal heart rhythms. Additionally, in contrast to some traditional uses, some recommend not using horehound during pregnancy or breastfeeding, and should not be used with infants. Because horehound may work to lower blood pressure, those taking blood pressure medication should use caution. Similarly, horehound’s possible effectiveness as a diuretic and in lowering blood sugar, caution should be used when taking a diuretic medication such as water pills or a medication that affects blood sugar. Because horehound may work as an expectorant, it may change or increase the effect of cold medications. Similarly, horehound’s possible effectiveness may increase the effect of laxitive products or cholesterol-lowering medications. Because horehound contains glycosides and estrogen-like chemicals, those taking heart medications or hormone therapy should use caution as well. Additionally, those who take supplements or other herbs to address a condition that horehound may affect should use caution and consult their health practitioner. John Gerard’s Herball, or Generall Historie of Plants, 1597 A.D.
“Bush Medicine” A Pharmacopoeia of Natural remedies by Tim Low. Roman Ramos R, Alarcon-Aguilar F, Lara-Lemus A, et al. Hypoglycemic effect of plants used in Mexico as antidiabetics. Novaes AP, Rossi C, Poffo C, Pretti Júnior E, Oliveira AE, Schlemper V, Niero R, Cechinel-Filho V, Bürger C.
Preliminary evaluation of the hypoglycemic effect of some Brazilian medicinal plants. Analysis of the antinociceptive properties of marrubiin isolated from Marrubium vulgare. Analgesic potential of marrubiin derivatives, a bioactive diterpene present in Marrubium vulgare (Lamiaceae). El Bardai S, Lyoussi B, Wibo M, et al. Pharmacological evidence of hypotensive activity of Marrubium vulgare and Foeniculum vulgare in spontaneously hypertensive rat. Clin Exp Hypertens . 2001 May;23(4):329-43. Eyebright is scientifically classified as Euphrasia. Some common names of Euphrasia are eyebright, meadow eyebright, and red eyebright. Eyebright is an annual plant that grows 2 to 8 inches tall in its common habitat. It has deep-cut leaves and small flowers that vary in color. The stem of the eyebright plant is thin and stiff, and the leaves grow approximately 1/6 to 1/2 inch long by 1/4 inch across with four or five teeth on each side of the leaf. It is a hemi-parasitic plant that steals its food by attaching to other plants around it. This makes the Eyebright plant difficult to harvest. The ideal times to harvest the plants are in the summer when they are in full bloom. The flower is cut just about the root and an extract of the fluid is prepared. Unfortunately, due to the high demand for eyebright, the plant is quickly becoming an endangered species. The eyebright plant is indigenous to Europe, especially in Britain. It grows well in the open grasslands or meadows, especially those in temperate climate regions. The majority of eyebright sold comes from Europe, however, it has been found in Northern and Western Asia, as well as North America. The plant is best grown in areas of rich soil, where it can grow into a small bush that can gain upwards of 8 to 9 inches in height. Though it thrives in open fields, eyebright can grow in rocky areas or in poor soil. However, in these conditions, the height of the plant is typically only a scant inch high, and the stem does not branch as fully as it would in an open meadow or grassland. Since medieval times, herbalists have used eyebright in lotion form to refresh eyes and in tinctures to help cure eye ailments. 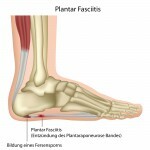 As the ancient peoples recognize that plants that resemble a part of the body seem to aid in correcting issues with that body part, they started to cultivate those plants. Since the eyebright flower, in full bloom, resembles the human eye when it is “bloodshot”, people believed it to be able to cure eye ailments. In ancient times, some believed that a tea of eyebright will aid mental clarity and psychic powers. They would place cotton pads infused with an eyebright tincture over their closed eyes to induce clairvoyance, and they believed that carrying eyebright with you could help you see through lies and deceit. Publications such as Gordon’s “Liticium Medicina” in 1305 and Markham’s “Countrie Farm” in 1616 both list the eyebright herb as effective treatments for eye ailments. The herb was highly recommended by the Mantuan physician Matthaeus Sylvaticus and was the subject of a treatise by Arnoldus Villanovanus. Even some poets, like John Milton, wrote of the medicinal uses of eyebright. A German book on medicinal herbs was published in 1485 listing eyebright among one of the herbs used to cure eye ailments. Eyebright was especially popular in the age of Queen Elizabeth I, when people drank eyebright ale. Eyebright was also prescribed in tobacco form and was smoked to relieve bronchial colds. Eyebright was again made popular in the 17th century by Nicholas Culpepper who believed it strengthened the brain, so he equated the herb to the Zodiac sign Leo. It is widely used throughout Europe and even in some African countries. Today, people in Iceland use the juice expressed from the plant for eye ailments, and the Highlanders of Scotland infuse it in milk and sooth tired or sore eyes by dipping a feather in the infusion and applying it to the eyes. People in Britain are still using the herb to ease the suffering from chronic bronchial maladies by adding the dried herb to their herbal tobacco and smoking it. There are about 450 different species of Eyebright, but they are all used in the same manner. 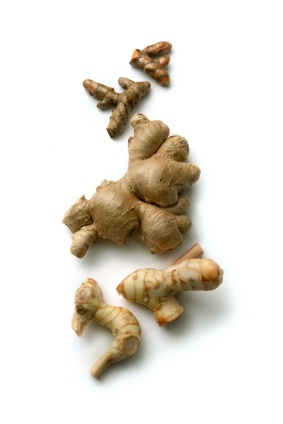 Herbalists have determined that no one has different medicinal properties than the others. This is especially important since the colors can vary, with the most common colors being blue-white, purple and violet. There is also a yellow dot on most of the flowers to assist bees with pollination of the plants. One of the first uses of eyebright has been the treatment of ailments associated with the human eye. Eyebright contains astringent compounds called tannins that can reduce inflammation and swelling in the eye and also create a protective coating on the surface of the eye. Eyebright is also quite useful in treating respiratory conditions such as allergies, bronchitis, colds, and sinusitis. The tannins in eyebright can reduce the mucus production, which relieves the symptoms of respiratory conditions and even increases the firmness of the tissues in the respiratory system. Eyebright can be used topically or orally. As an eye wash, combine ½ teaspoon (2,000 mg) fresh or dried eyebright with 1 cup of brandy or gin (250 mL). Pour mixture into an airtight container. Shake the container every 2 to 3 days and strain the mixture after one month. Add 30 drops of tincture to 1 cup boiling water. If you are unsure how to mix the eye wash or eye drops properly, both items can be found commercially in sterile packaging. For oral use, a tea made with eyebright is quite effective. Simply add ½-1 level teaspoon (2,000-4,000 mg) dried eyebright to 5 ounces of boiling water for 10 minutes. Strain the tea for drinking. Eyebright also comes as extracts and in capsule form and in different strengths, depending on the intended use of the product. If bought at a store with packaging, please follow the instructions for use on the package. Dr. Christopher’s, Herbal Remedies, Nature’s Way, and Quantum Herbal Products are some of the more recognizable names on the market, though they are certainly not the only manufacturers of the variety of eyebright products. Some even believe eyebright may even have antibacterial properties from the caffeic acid in the plant. This theory has not been fully explored. The effects on pregnant and lactating mothers have not been determined. Dosage depends on the severity of the problem. 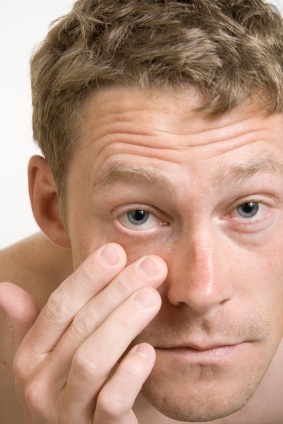 For issues such as blepharitis, conjunctivitis, and eyestrain, a simple poultice can be applied. A tea can also be made to compliment the external treatment. Some believe taking an herbal supplement of eyebright can maintain or increase their eye health. Before using eyebright for any type of condition, you should consult your doctor. The Environmental Protection and Biodiversity Conservation Act of 1999 (England) has listed eyebright as vulnerable. Many countries in Europe are taking measures to insure the survival of the plant. Eyebright should not be used if you have had recent eye surgery or if you wear contact lenses. Allergic reactions to eyebright are rare, but could occur. If you are taking eyebright and develop hives, have difficulty breathing, or your lips or tongue swell, stop using it immediately and contact your physician. Studies have been published recently indicating that large amounts of eyebright taken orally or as an eye wash can be hazardous. Their research indicates the use of eyebright can be detrimental to eye health and has no real healing properties at all. 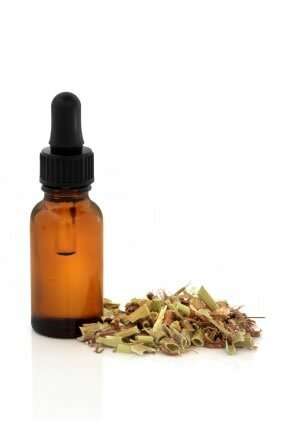 For commercially packaged eyebright tinctures or eye drops, prices can range from $7.82 for a 1 oz. bottle to $15.99 for a 2 oz. bottle. Herbal eyebright supplements can range in cost from $7.60 to $17.99, depending on the strength of the tablets or capsules and the quantity purchased. Eyebright herbal teas sell between $5.29 to $11.95, and purchasing the dried plant itself can cost anywhere from $8.40 for 4 oz. to $45.92 for various amounts. Lifebalm.com sells eyebright in powder form for $42.49 for a 4 oz. package. There are many online venues to purchase eyebright in its various forms: amazon.com, iHerb.com, and mynaturalmarket.com are among some of the websites that sell eyebright tinctures and supplements. Prices will vary from website to website, as will shipping and handling charges. Local apothecary and herbalist stores are the most common places to find eyebright. However, before purchasing locally manufactured products from these stores, you should make yourself aware of the credentials of the person making the product. Some local stores do carry the professionally manufactured, “factory sealed” products that are more likely to not cause adverse reactions to the product. Because of the risk of infection and/or adverse reaction to medications, before using any product either topically or internally, you should consult with your physician. Fennel, scientific name foeniculum vulgare, is a plant found growing in many gardens in the United States due to its usefulness in the culinary arts as well as its medicinal properties. The plant species is indigenous to the Mediterranean shores but seems to grow wild in numerous areas of the world now. Most commonly it can be found on river banks and near the sea coast. The Romans and Greeks were extensive users of fennel. As a result, they can also be found in many places where these groups of people historically made their homes. Fennel is an extremely useful plant for cooking and making home-grown medicines as well as being extremely aromatic and smelling quite sweet. This herb has quite a lively history within Roman and Greek mythology and has been used throughout the ages for a large variety of purposes by these groups of people. The Ancient Greek people called the fennel plant “marathon”. Most people are familiar with the story of how Prometheus stole fire from the Gods and gave it as a gift to mankind. According to Greek mythology, it was the stalk of a fennel plant that he used to steal the fire from the Gods! A giant fennel plant was said to have spawned the Greek god Dionysus’ Bacchanalian wands and his followers. Such a colorful history befits this small herb; it would seem that it has had as many uses throughout mythology as it still does today! Fennel is a herb that is remarkably resilient. It is perennial, meaning that it has a life-cycle which lasts two years or longer and will generally be hardy enough to survive throughout the spring and summer, die in winter, and then revive itself again when the growing season returns. However, those growing fennel, in their gardens, should note that, in climates outside of its normal zone, the plant will probably need more care and have a shorter life span. The plant grows freely throughout the U.S. and the warmer areas of Canada, Europe, Asia, and Australia, though it is considered to be an invasive weed by some Americans and most Australians. In general, fennel plants can be up to 2.5 meters tall and have hollow stems. The plant produces exceptionally thin leaves that are 35-40 cm in length. Fennel plants produce yellow flowers that are remarkably small in size and grow together in groups of 20-50 flowers to create flower heads. The fruits of a fennel plant are grooved in texture and decidedly small; in fact, they are usually mistaken for seeds and are commonly referred to as seeds in many recipes. There are three main variations of fennel plants. The first is the Florence fennel. Florence fennel plants were cultivated in such a way that they would have larger leaf bases, which would give way to a bulb. A common fennel plant is intensely aromatic and smells sweet, and this quality is enhanced in the Florence fennel. Cooking is the main purpose for which the Florence fennel was cultivated as the bulbs are used as vegetables. Many recipes call for cooked Florence fennel bulbs. Sometimes, they are even chopped up and used raw for dishes, such as Mediterranean salads or as seasoning in soups and sauces. Often Florence fennel bulbs are mistaken for a close cousin, anise, as they have a remarkably similar flavor and appearance. Many readers will be familiar with the alcoholic beverage called Absinthe. Florence fennel was one of three main ingredients in this alcoholic beverage which started out as a Swiss medicine and quickly gained popularity as a fun alcoholic drink within France. Today, Florence fennel is mostly used in cooking Mediterranean and Italian dishes. It is crunchy and slightly sweet. In addition to this, Florence fennel contains much fiber. When it is eaten with other foods that produce indigestion, it can help soften the effects. Florence fennel contains large amounts of phytonutrients and antioxidants including rutin, quercitin, and anethole. In addition to this, the plant contains much Vitamin C, an extraordinarily powerful vitamin that is essential to proper immune system function. A bronze-leaved version of the fennel plant is available. It looks much the same as a normal fennel plant would but has bronze leaves that are considered to be quite attractive in gardens. Many gardeners in the UK use bronze-leaved fennel for decoration within their home gardens. The giant fennel plant discussed above in the mythology section is the third and final variation of fennel. It is much larger than a regular fennel plant and is part of another species entirely (the Ferula species) of which there are 170 members. Plants within the ferula species are commonly used for the same purposes as the foeniculum (normal fennel) plants are. They produce a gooey resin that is used for cooking and medicinal purposes. The spice asafoetida or hing is made from a ferula species plant. Fennel is a tremendously popular culinary herb. The reason for this is that nearly every part of the plant can be used for some culinary purpose. It has a truly distinct and unique herbal taste. The leaves of the fennel plant can be used to brew teas that taste delicious and are said to help suppress the appetite. There is a long-standing tradition thought to be put in place by the Romans and Greeks. The tradition to sip one cup of fennel tea prior to eating dinner, in order to be sure that overeating would not be a problem. Many users of fennel tea claim that this actually works quite well and can be a vital aid in weight loss and appetite control. The flowers of the fennel plant carry the unique flavor of the plant and can be used for a variety of recipes. Most often, they are sprinkled into salads, soups, or sauces to give them a unique flavor. Fennel stalks are hollow and crisp and can be eaten just like celery sticks or chopped up to be used as flavoring for cooked foods. In all reality, the uses of the fennel plant are only limited to the chef’s culinary imagination. Fennel has a solid place in many medicinal gardens throughout the world because the plant has such a wide variety of uses. Fennel plants contain large amounts of anethole, which is an aromatic natural compound found in many essential oils. Spain is the top producer of fennel grown for harvesting anethole for use in essential oils, but in all reality fennel is a particularly common plant that can be bought from many places and in many forms. Fennel herb is carminative by nature, which simply means that it works to prevent the creation of gases. 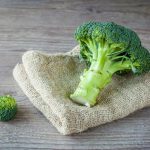 For this reason, it is a well-respected digestive health remedy used in many concoctions created to help those with regular intestinal ailments. It is a common ingredient in gripe water, which is given to infants to help ease problems with flatulence. Fennel tea is known to suppress appetite. It also acts as an intestinal relaxant, to ease bloating in adults. Laxatives commonly have fennel in them to help soften the side-effects of the purging. Fennel oil is used in the making of eye washes due to its cleansing and soothing properties. The people of India believe that fennel contains the ability to improve eyesight materially and often ingest raw or slightly sweetened fennel seeds to gain this benefit. The Ancient Romans held fennel in high regard as a “herb of sight” as well, though fennel has not been proven to work for this specific purpose when ingested in such ways as the Indians ingest it. Studies done on animals with glaucoma (a disease where damage is done to the optic nerve of the eye) have shown that fennel can help treat this disease. It has been proven that it can help prevent clouded eyesight when used in the eye-wash form. Many people believe and will attest to it as a fact that fennel is useful to pregnant women and new mothers. Fennel does contain phytoestrogens. But, it has never been scientifically proven that it helps in any way. Nonetheless, there are several anecdotes throughout history that state it is highly effective in increasing the amount of milk supplied by mothers who nurse their children. Other stories say that fennel can be given to breastfeeding mothers. This is done to help ease breast swelling, commonly associated with nursing and breast-feeding. Fennel fruits/seeds have an extremely sweet taste and are commonly used as breath fresheners. The seeds can be eaten as part of a meal or used to create a fennel tea, which is then gargled. It helps freshen the breath. Instructions for making fennel tea are given below. There are many other stories throughout history and even still today of fennel being used for a myriad of things. None of these things has been scientifically proven. Many myths state that fennel can be used by women who are menopausal to relieve their symptoms. Fennel is said to be useful for quieting hiccups and soothing coughs as well as fighting colic in babies. Less-grounded claims say that it can even be used for the breaking up of kidney stones or reversal of liver damage caused by alcohol. 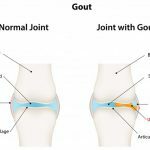 More medicinal effects include the prevention of nausea or gout as well as being helpful as a diuretic to increase the occurrence of urination. Fennel is often used in drugs that help with the treatment of hypertension (or high blood pressure) and is said to be able to be used to expel worms from the human digestive tract. Some even claim that when used with conventional treatments, fennel can be ingested and is effective in helping to treat prostate and colon cancers. The reason for this is that the fiber in fennel helps absorb carcinogenic toxins in the colon. It is highly recommended that a doctor be consulted in advance, about the use of fennel in the treatment these cancers. Those who advocate the use of fennel around the home say that fleas find fennel to be quite disgusting by nature and will not live in places where fennel does. Thus, it can be sprinkled around pet beds and homes where pets reside to help prevent fleas from staking a foothold within the house. Fennel is a popular herb for gardeners who grow herbs for food preparation and medicinal purposes, but is also popular with those who grow butterfly gardens. The herb is said to be like a “siren’s call” to the beautiful swallowtail butterfly and attracts colorful butterflies of all sorts with is a sweet smell and bright yellow color. When used as a culinary enhancement product, fennel leaves, stalks, and seeds have no side effects. There are no document cases of fennel interacting with other drugs to enhance or suppress their effects. The extract essential oil should not be used by pregnant women as it has in some cases induced seizures and hallucinations. Fennel taken in excessive amounts can be disruptive to the body’s nervous system. If home medicines are to be made, it would be wise to consult with a physician or health practitioner before administering any treatments. It is relatively easy to create entirely home made fennel products. Fennel can be grown in a personal garden or bought from a rather large number of places (this will be discussed in-depth later). It does not matter where the fennel comes from as long as it is fresh. Many of the medicinal uses of fennel such as eye washing call for fennel water. In this case, essential oil with fennel extracts will be needed. Simply mix one pint of water with eight drops of fennel oil to create fennel water. 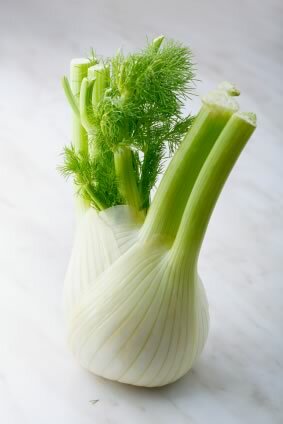 Fennel water can be ingested (up to 8 tsp. per day) or used for things such as flea-guarding homes. Fennel oil itself can be mixed in with other massage oils or used on its own and is said to produce a warming sensation and a delightful aroma to add to the soothing properties of massages. Fennel tea is the easiest of the fennel products to make at home. The seeds or the actual leaves of the plant can be used to make the tea which suppresses appetite and soothes coughs. It has even been said that it can help clear up mucus in the lungs. 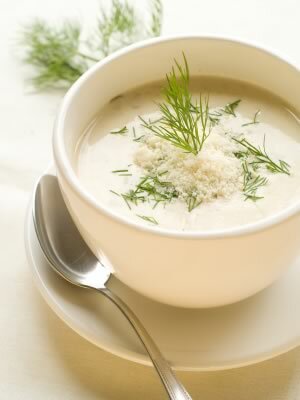 If using fresh leaves, the necessary amount is 3 tablespoons of fennel per one cup of water. For seeds, only half of this amount is needed, so 1 1/2 tablespoons of fennel seeds per one cup of water. This will make a strong infusion of fennel tea; individuals should feel free to experiment with adding more or less fennel to create tea to their liking. To make the tea, individuals should first boil the water, separately. Then they should put the herbs or crushed seeds at the bottom of a pot and pour the boiling water over them. The mixture should then be covered and allowed to soak for five minutes, though this time is not exact and it could take more or less time to infuse the water with the right strength for individual purposes. When satisfied with the strength of the tea, simply use a strainer to drain the herbs out of tea and enjoy! In addition to these products, it is possible to make a paste by using a mallet to pound down fennel stems and/or leaves. This paste can then be either shaped into home made caplets which can be reserved for later use or used in paste form. By creating pastes and caplets in this way, individuals can choose the concentration of fennel in their products. However, they should clearly adhere to the earlier warnings that taking too much fennel can result in the nervous system disruptions and consult a doctor before making medicines from home. Many people lead busy lives and do not have time to make their own fennel products, or they would prefer to obtain them from stores in order to minimize the risk that they will use too much or too little fennel, causing their products to either be ineffective or harmful. These people are in luck! Fennel is mass-produced in many countries such as Mexico, Morocco, Syria, and India for use in creating fennel products or for resale as a raw herb. Fennel herb products are available in a variety of forms including capsules, caplets, tea bags, seeds, and extract oils. 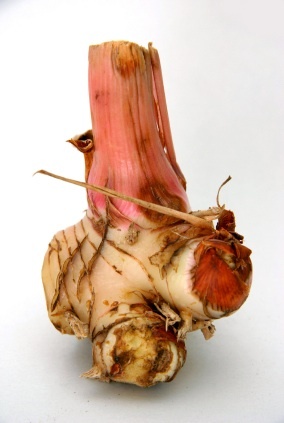 It can also be purchased in its raw plant form or as Florence fennel bulbs from supermarkets. Conventional grocery stores are less likely to have raw fennel in plant or bulb form, which is more easily found at organic food stores and markets as a specialty herb/food. Fennel bulbs should be free of bruises or brown spots with stalks that are firm and crisp and leaves that are fresh and not wilted. The leaves and stems can be refrigerated and will last for several days when stored like this; the bulb can last for weeks. Much like any other vegetable or herb, once the leaves begin to wilt the fennel should be thrown out. The full line-up of fennel products (aside from culinary use fennel) can be found in many nutrition or health stores such as GNC or from online retailers including Amazon.com and smaller health shops. Fennel capsules can be purchased for about $5.50 per 100 pills that are to be taken three times daily at maximum, preferably with meals. The two most common brands of pre-made fennel tea bags are Heather’s and Alvita. Alvita sells both caffeine-free and regular fennel tea bags which cost $3.50-$5.00 per 24 count package. Heather’s sells the teas by the bags or in canisters and charges up to $19 per canister of 45 tea bags. One pound of organic fennel seeds costs anywhere from $5-$10, and fennel essential oils go for about $8 per ounce. Fennel seed extract is more expensive at about $10 per ounce. Because fennel is a seasonal herb that is grown during the spring and summer, it is highly likely to find it cheaper during these times of the year. Those wishing to save money on fennel products can stock up on them when they are at their cheapest during the summer months and use them throughout the year. However, these individuals are cautioned to check the shelf lives of their various fennel products as some last only a few months and some will last for over a year. For example, fennel tea bags can lose some of their scent and flavor if allowed to sit on the shelf and age for a few months. Though it is considered to be a pesky weed in some places, there are currently no countries throughout the world where the growing and usage of fennel is illegal. Fennel itself is a remarkably safe herb to use. However, poison hemlock looks much like fennel when growing wild in nature and is toxic when ingested. Like fennel, hemlock grows near water and can be up to 2 meters tall. It creates tiny white flowers in flower heads much like the fennel plant does except that fennel flowers are yellow. When picking fennel in the wild, be sure to test the plants to be sure that they truly are fennel. The best way to do this is to crush a few leaves and smell them. If they smell like anise or licorice, they are safe. If they smell musty or mousey, they are highly likely hemlock leaves. They should immediately be discarded. This test should not be done with bare hands as hemlock contains coniine, a toxin that the skin can absorb. Contact with the eyes and mouth should also be avoided until the individual thoroughly washes his/her hands. Valerian, also known as Valerian root, garden valerian, tobacco root, garden helotripe, all-heal, and setewale capon’s tale, is a perennial herb that can reach a height of over 4 feet and blooms every summer. The flowers of the valerian plant have a very potent smell, often described as smelling like aged cheese, spoiled milk, or old socks. The valerian plant is native to Europe, southern Africa, and northern Asia. Though not native to North America, valerian is grown and harvested for its many healthy benefits. Valerian has a massive root system, a short rhizome (or underground stems), which contains valerian’s medicinal properties, bears pinnate leaves, and produces pink flower heads. Most valerian plants prefer rich, heavy loam with adequate moisture. In recent times, however, valerian has become a commercially farmed product and no longer requires a damp, rich environment in order to grow. The root and rhizome of valerian is ground and used for treating a wide variety of medical conditions, including insomnia, depression, pain, and stress-related digestive disorders. Valerian derives its name from the Latin word “valere” meaning to make strong; the Roman emperor Valerianus and several saints take their name from this Latin derivative. An additional translation of valerian is “to be in good health.” Used since the time of the ancient Egyptians, valerian was so revered for its medicinal benefits that it was referred to as the all-heal. Tenth century Arab apothecaries in Spain, Africa, and the Middle East combined valerian root with many other herbs and plants to cure pain, induce sleep, and as a general cure. The use of valerian became widely popularized during medieval times. During World War I and II, valerian root was used in many European hospitals and medical units in treating stress caused by air raids. 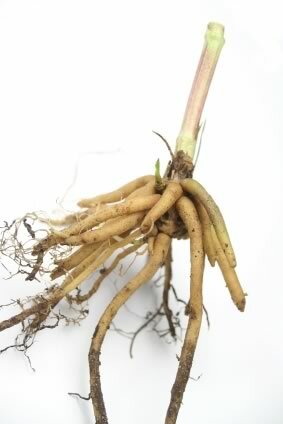 Valerian root continues to be popular in Chinese medicine. Used for over 2,000 years, valerian has been vital to Chinese medicine because of its pain relieving and calming abilities. Today valerian is a common supplement used to treat a myriad of ailments. It is easily found in groceries, pharmacies, and health food stores. It is rumored that valerian is spikenard, which is referred to in the Bible. Spikenard was referenced in the parable of when Christ’s feet were washed by Mary Magdalene. Valerian also appears in many Hindu legends. The most common is the story of a newly married man planting valerian outside of his home for his bride as a symbol of his safe return. Years passed and the valerian flourished. Finally, the man returned home and his bride welcomed him warmly, knowing he was safe because the valerian had remained alive and beautiful. Chaucer describes valerian as setewale in the Canterbury Tales. Setewale is used as a seasoning to a broth the cook prepares. Many people believe that valerian will act as a repellant for unfriendly dogs. Centuries ago, gypsies would prepare and sell mixtures containing valerian to protect against unfriendly animals. It is said that in the second century, Greek physician Galen would give people dried valerian root as a cure for insomnia and restlessness. Best known for its tranquilizer and calmative effects, valerian is a popular sleep aid and treatment for anxiety and depression. Valerian has also been used in connection with menstrual cramps, muscle spasms, headaches, stress, nervous restlessness, and stress-related digestive disorders. Valerian has even been used as a natural treatment for ADHD in children and adults. With no addictive properties, valerian is a safe alternative to calming drugs such as Valium. Scientific studies have shown that valerian works to promote relaxation by working with the nervous system to calm the brain and relax tensed muscles. This allows for sleep, reduced stress, muscle pains and cramps, and calms the body. Valerian is effective in relaxing the muscles of the digestive tract, relieving many of the symptoms of stress-related digestive disorders like irritable bowel syndrome. Working to relax the body, valerian has been shown to relieve pain. It is especially effective in the treatment of migraines, arthritis, and muscle pain. Nervous conditions such as epilepsy, multiple sclerosis, sciatica, and peripheral have all shown positive responses to valerian use. As a treatment for ADHD in children and adults, valerian has shown some benefits. It works together with the brain to slow down triggers that can cause hyperactivity and help the individual concentrate. Valerian works to slow the heart, helping to regulate arrhythmias, treat those with tachycardia, and regulate blood pressure. It has also been found to have properties that help prevent blood clotting. Valerian supplements are very easy to find and rather inexpensive. Most commonly, valerian is found in pill or capsule form but at health food stores it can also be found in teas and liquid droppers. Dried valerian root and rhizomes are used in creating valerian supplement pills and capsules. Valerian pills and capsules are packaged in 60 to 100 count bottles and are 400 to 530 mg. Pills and capsules are the most common and least expensive valerian supplement. They can be purchases at retail stores such as Target and Walgreens for approximately $7.99 for a 100 count 530 mg bottle. Valerian pills and capsules can be purchases online at websites such as amazon.com; a 3 pack of 100 count 400 mg bottle of valerian pills sells for $18.00. Valerian herbal teas have been used throughout history as a cure for many ailments. These teas contain dried root as well as other herbs such as chamomile or lavender. Unlike valerian pills, teas works almost immediately. Valerian tea should not be made with boiling water, as the temperature of the water may take away some of the medicinal properties of the tea. Use only hot water. Valerian teas are sold at many different health food stores, such as Whole Foods and Trader Joes, and range in price depending on the brand. At most health food stores, Yogi brand bedtime valerian tea sells for $4.99 for a box of 16 tea bags. Websites such as mothernature.com offer a wide variety of valerian teas at fair prices. This liquid form of valerian can easily be added to food, water, or simply placed on the tongue. Often, veterinarians will prescribe valerian herb droppers for dogs and cats with anxiety. Add a few drops to the pet’s water dish and the valerian will work with the pet’s body to calm and soothe any anxiety. Valerian herb droppers are less common than pills or teas, but can be found in health food stores such as Whole Foods for approximately $9.99 for a 1 ounce bottle. A .25 ounce bottle of valerian can be purchases at www.lifesvigor.com for $5.38. Always check when taking Valerian supplements that the product contains 0.8 valerenic or valeric acid. There is no scientific evidence indicating a maximum dosage of valerian. For those who suffer from insomnia, valerian supplements range in dosage from 300 to 900 mg. Always try a smaller dosage and then move to a higher dosage if you do not see results. When taking valerian pills for insomnia be sure to take the pill 30 to 45 minutes before going to sleep. Continue taking valerian pills 4 to 6 weeks after your sleeping state has improved to insure continued progress. When taking valerian teas, keep in mind that they are packaged differently by various manufacturers, causing some teas to be more potent than others. Try several kinds of tea to find the one that works best with your body. You can even purchase dried valerian root from local health food stores and make your own mixture to treat headaches and menstrual pain. You can use 2 to 3 grams of dried valerian root in tea, up to several times daily. When using valerian herb droppers 1/4 tsp (1 to 2 mL) at a time. Valerian supplements can be taken with or without food. Do not take with caffeine and be sure to drink a full glass of water if taking a valerian pill or capsule. For most individuals, valerian is a very safe supplement with no side effects. Fresh valerian root typically has no smell but dried valerian root can have a very potent and unpleasant aroma. There have been no documented cases of any drug interaction with valerian supplements. For some individuals, valerian can cause sudden nervousness, racing heart rate, and restlessness. There is some evidence that some cases of prolonged use of valerian resulted in withdrawal symptoms. As it is a calmative, people who take valerian should not drive, operate heavy machinery, or engage in activity, which requires alertness. Women who are pregnant or nursing should not take valerian, as the scientific community has not adequately studied its effects on infants and the fetus. Young children should also refrain from taking valerian supplements, as there have not been many studies on its effects. Valerian root has very few side effects and is proven to help treat insomnia, anxiety, and to calm the body. Because valerian is inexpensive and so accessible, many people can use it as a first line of treatment for their conditions. It does not leave you with a cloudy, foggy feeling when used as a sleep aid and does not contain the potentially harmful side effects of prescription medications. Chamomile, known as a popular variety of tea, is actually made up of several different daisy-like plants that belong to the Matricaria genus. The genus Matricaria come from the Latin word matrix which means “womb.” Chamomile plants and can be different species; for example, Roman chamomile, or Chamaemelum nobile, is a different species than German chamomile, or Matricaria recutita. Chamomile is most commonly used as a tea and acts as a sleep aid. Ancient Egyptians admired chamomile for its healing powers and even offered it to the sun god Ra because it was considered so valuable. In ancient Rome, chamomile was used added to drinks for flavor and burned as incense. In Greece, physicians would give chamomile to people with fevers and women with female disorders. German chamomile has been taken as a digestive aid dating as far back as the first century CE. Chamomile was considered so useful by British doctors that they included it in their medical bags both in Great Britain and in the American colonies. Today, chamomile revered for its many medicinal uses. Many cultures thought that chamomile soothed the spirit and would make an unruly spirit gentle and kind. Chamomile was believed to attract love and prosperity and was a common ingredient in potions and concoctions. During the middle ages, chamomile was used as an ingredient in love potions. Gamblers would rub their hands with chamomile as a way to entice money into their pocket. Many cultures believe that if sprinkled around the property, chamomile will rid the home of any evil spirits or curses. It is rumored that Vikings rubbed chamomile on their hair to lighten it and give their hair a blonder appearance. German chamomile is typically found growing wild in Europe and northwest Asia. In parts of Europe and North America, German chamomile is farm raised so that it can be cultivated and sold for medicinal use. German chamomile is planted in the autumn and harvested in the summer. It is a sweet smelling plant, produces white, daisy-like flowers, and can grow to be over 2 feet tall. German chamomile is the most common variety of chamomile that is used as a sleep aid, burn treatments, and for other medicinal purposes. Native to western Europe and northern Africa, Roman chamomile has become commercially farmed worldwide in temperate regions. The primary exporters of Roman chamomile are Great Britain, Belgium, France, and Italy. Roman chamomile is an aromatic perennial that produces feathery leaves, white, daisy-like flower with yellow centers, and grows to be approximately 20 inches tall. Just like German chamomile, Roman chamomile flowers are harvested during the summer. Chamomile is commonly known for its ability to act as a sleep aid. Calming to both adults and children, chamomile does not interfere with activities such as driving or other tasks that require concentration and alertness. It is safe to give to children of any age. Chamomile is ideal for relaxing and calming oneself after a stressful day. Chamomile is also used to soothe ulcers or other stomach problems that are aggravated by anxiety. Muscle pain, twitching, and muscle spasms that are a result of stress can all be reduced by chamomile because of its ability to relax and calm the body. Menstrual cramps and sleep disorders related to premenstrual syndrome (PMS) also show improvement with the use of chamomile. Chamomile has been found to contain strong anti-inflammatory and antispasmodic properties that are particularly effective in treating stomach and intestinal cramps. When chamomile is harvested during the early stages of flowering, it can help to relieve gas, bloating, and irritable bowel syndrome. Chamomile also is able to reduce the pain and cramping sensations associated with these stomach ailments. A German study found that chamomile contains valuable antimicrobial agents. Chamomile is able to rid the body of bacterial toxins and small quantities of chamomile oil have been shown to inhibit staphylococcal and streptococcal strains of bacteria. Drinking chamomile tea combined with other antimicrobial herbs, such as thyme, Echinacea, or goldenseal, reduces the severity of internal infections. Chamomile can also be used topically to treat infections, burns, and inflammation. Chamomile tea is so popular among people that it is found in every grocery store aisle. Chamomile tea is used as a mild sedative, helps to relieve insomnia, eases the pain of teething for young children, and relieves many stomach pains. Additionally, drinking chamomile tea regularly has been shown to reduce pain associated with arthritis and other painful inflammations. Large doses of chamomile tea can reduce the severity of symptoms associated with colds and flu such as fever, sore throats, and chills. 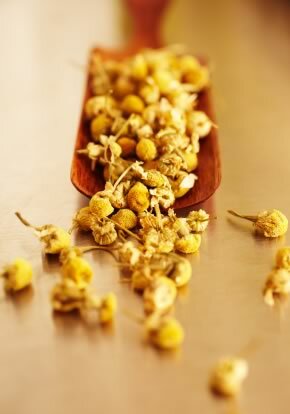 Chamomile is often infused with other natural ingredients in shampoos and conditioners. Hair products containing chamomile leave hair feelings moisturized, not heavy, and very manageable. Dried chamomile is found in potpourri, herb therapy, and aromatherapy. The dried chamomile found in these helps to relax and calm the body and relieves it from stress. Chamomile can be applied to the skin to relieve sunburns, aching muscles, and mild burns. Often, chamomile is found in cosmetics as an anti-allergenic agent. 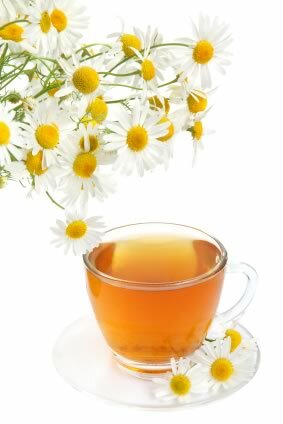 Unused chamomile tea is can be given to plants as a liquid feed and plant tonic. 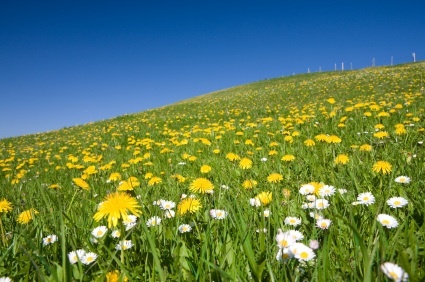 Chamomile has been shown to be quite effective against a number of plant diseases. Many perfumes are made from an essential oil derived from chamomile. 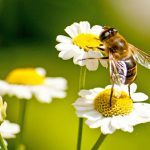 Dried chamomile flowers can even act as an insect repellant. There is no universal dosage method for chamomile. Studies have shown that consuming ½ to 3 drops of chamomile essential oils to be beneficial as a sleep aid and to help ease stomachaches and cramps. Teas can be consumed safely one to four times a day. When using chamomile ointments, it is recommended that they contain 3% to 10% chamomile for best results. Chamomile is considered one of the safest herbs and has little side effects. A potential side effect associated with drinking chamomile tea is drowsiness. Because chamomile tea can be used as a sleep aid, drowsiness is always a possibility. Those who are allergic to ragweed pollen or have hay fever may have an allergic reaction to chamomile. Moderation is key with chamomile to avoid any adverse reactions. In some individuals, high doses of chamomile may cause vomiting and skin irritations. Do not use chamomile if pregnant. Chamomile was once used as a mixture of herbs to induce abortions during the middle ages. Those who are on blood thinners also avoid taking chamomile. Studies have suggested that chamomile has an ability to thin the blood by containing properties such as coumarin, which act as blood thinners. Prepare a cup of lightly sweetened chamomile tea. Drink the tea twice a day, once in the morning and once in the evening, until symptoms are gone. 30 to 45 minutes before bedtime, make a strong cup of chamomile tea. Drink the tea and get ready for bed as usual. A chamomile bath can relieve many ailments such as colds, stress, PMS, and itchy skin. There are several ways to prepare a soothing chamomile bath. Place ½ to 1 cup fresh or dried chamomile tied in linen bag and place it in the hot tub water. Let the bag soak for at least 10 minutes. Remember, do not add soap to bath. Another way to create a relaxing chamomile bath is to combine 10 to 20 drops of chamomile essential oil in with bath salts to the bath water. Rub a small amount of chamomile essential oil gently across the burned or scraped area once a day. Another treatment for burns and scrapes is made by brewing 3 chamomile tea bags to one cup of water. Once the water has cooled, dip a clean cloth into the tea and use it as a compress on the affected areas. A simple remedy for reducing the appearance of dark circles is to dip 2 chamomile tea bags in warm water. After 5 minutes, remove the tea bags from the water and allow to cool until room temperature. Once cooled, place the teabags on the eyes at night as a compress. Chamomile teas are available in the tea aisle at most grocery stores. One of the most popular selling brands of chamomile tea is Celestial Seasonings. Celestial Seasonings can be found at Walmart, Target, Walgreens, as well as many health food stores for approximately $4 for a box of 20 tea bags or online at drugstore.com. Chamomile can be also be purchased in the forms of dried flower heads, liquid extract, essential oil, or in creams and ointments. Many health food stores carry dried chamomile as well as online websites such as www.herbspro.com. Dried chamomile typically sells for $9 a pound at health food stores or online at www.americanspice.com. Liquid extracts and chamomile essential oils are found at health food chains such as Whole Foods. These products tend to me more expensive. Essential oils sell for approximately $15 for a .5 ounce vial and liquid extracts sell for $11 at The Vitamin Shoppe or online at amazon.com. The Sambucus, also known as Elder or Elderberry, is the genus of 5 to 30 different varieties of shrubs and small trees. The Elderberry plant is characterized by feathery leaves, and topped off with clusters of white or cream-colored flowers followed by blue, purple, red, or black berries. Sometimes, though rare, the berries can be white or yellow. Two of the varieties of Elderberry are herbaceous, which means that when they die off, they return to the ground so that there is no visible stump or remains left. 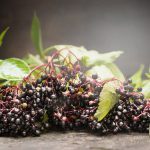 The Elderberry herb comes from the berries and flowers of the shrub or Elder tree, and is a medicinal herb native to parts of both the Northern and Southern hemispheres. The berries and flowers from the Elder tree have been used for various medicinal purposes for numerous human ailments throughout history, and that is why they are commonly referred to as “nature’s medicine chest”. The Elderberry has been used as an ingredient in wines, marmalades, drinks, and desserts, but it has also been widely used for its medicinal purposes. Juice from the berries was used to relieve colds, influenza, bronchitis, asthma, and other respiratory problems. An infusion of the juice was believed to alleviate inflammation and was therefore used for urinary or bladder infections, back aches, and even nerve problems. The flower of the Elderberry plant would also be made into creams, washes, or poultices, and used for skin irritants and aliments including, scrapes burns, abrasions, and cuts. The application of the elderberry flower was also used to helped reduce swelling, and inflammation of the skin; and to calm and soothe complexions from the effects of eczema, psoriasis, and acne. Additionally, an effective eye wash could also be made from the flowers. The various parts of the Elderberry plant that were commonly used included the berries, leaves, flowers, and even the bark. Many cultures believed the Elder tree was inhabited by either a witch or elder. A special chant to the elder had to be performed while cutting down an elder tree or it was believed the inhabitant would cause the person harm. So How Does Elderberry Work? To understand how the Elderberry works one must first have a basic understanding of viruses and the human immune system. When the immune system is attacked, its first response is inflammation. 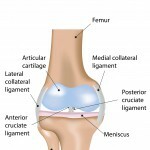 Inflammation is caused by the increased amount of blood flowing to the body’s tissues. Viruses can only multiply and spread to other cells, by first entering healthy cells. Some viruses enter the healthy cells with help from special spikes called haemagglutinin spikes. Once inside a healthy cell, the virus can then grow and spread, usually resulting in the person exhibiting cold or flu like symptoms. Antivirin is an antiviral agent contained in the Elderberry. Antivirins work by coating the haemagglutinin spikes of the virus and thereby neutralizing its ability to enter healthy cells. The anthocyanin (a powerful antioxidant) found in the skin of the Elderberry, helps defend the immune system by attacking free radicals in the body. Free radicals enter the body thru outside contaminants such as pollen, smoke, and other airborne pollutants; once these free radicals enter the body, they being their journey of destruction. Free radicals are molecules that are missing electrons. These molecules invade and steal electrons from other molecules which then sets off a chain reaction of electron stealing, and results in the creation of new free radicals in the body. The multiplying of free radicals leads to cellular destruction and damage, and eventually, inflammation and damage of the arterial wall. This process, and the addition of free radicals in the body, leads to many common diseases such as cancer, Alzheimer’s, diabetes, arthritis, and heart disease, in addition to the general aging of the body. The human body contains many naturally occurring antioxidants from the production of certain hormones, vitamins, and minerals. Antioxidants work to neutralize free radicals by stabilizing them. Antioxidants give up electrons to free radicals thereby deactivating the free radicals in their electron-stealing mission. 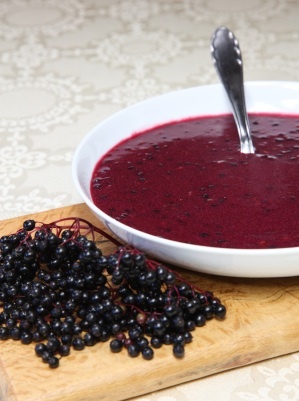 Of all the herbs, Elderberries are ranked third highest in vitamin C content. In addition, they also contain large amounts of vitamins A and B, carotenoids, and amino acids. The skin of the elderberry fruit has the highest concentration of athocyonins of any other fruit. Athocyonins are powerful antioxidants that build and boost the human immune system. 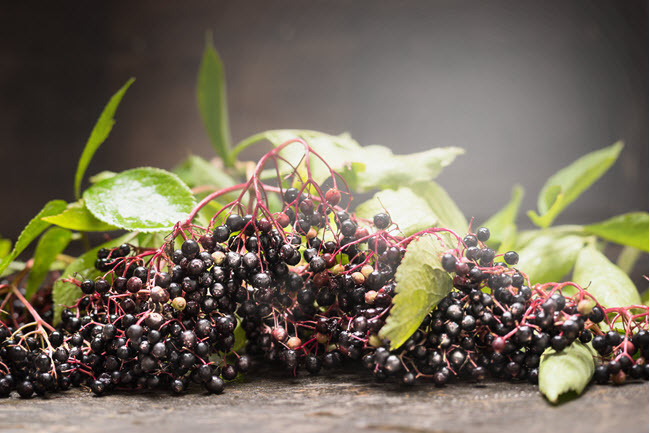 Today, Elderberries that are formulated into syrups are effective against, and help to alleviate, the build-up of mucous and calm inflammation in the nasal and bronchial passages and build up the immune system. In 2009, Retroscreen Virology of London tested the Sambucol brand of Elderberry syrup, which is formulated using black Elderberry. The results of their testing proved the syrup to be 68.3% effective against the H1N1 virus, also known as Swine Flu1. Another study conducted in 2005, found the same brand of syrup to be 99% effective against the H5N1 virus, more commonly referred to as the Avian bird Flu1. Other studies conducted concluded that the syrup was highly effective in the treatment of influenza A and B. Elderberry proved to lessen the amount of discomfort felt by those studied, and symptoms were relieved within 2 to 3 days and at least 3 days earlier than the control group. Many people still cultivate and use the Elderberry today. It is still common for Elderberries to be made into pies, jams, jellies, and other sweet desserts. The Elderberry has also been used in alcoholic beverages and soft drinks such as the “Shokata” which was marketed and sold by Fanta in 15 countries worldwide. Elderberry is also widely available to purchase today, and can be used medicinally by adults as well as children. It can be found in various forms including, liquids, syrups, extracts, pills, capsules, and gummy drops. In some instances Elderberry is combined with Echinacea, goldenseal, and other herbs to help support the immune system, and improve respiratory problems associated with changing seasons and environmental conditions and allergens. Syrups are commonly used to fight off cold and flu like symptoms and support and improve respiratory health and function. The flowers are still used today to make teas and infusions. Sambucol produces many varieties of syrups and liquids which include, original, sugar free, children’s, and immune support. In addition, they also offer, cold and flu quick dissolve tablets, and original and immune tablets with added vitamin C. The products range in price from 12.99 for 4fl (120ml) to $29.99 for 7.8fl (230ml). Gaia Herbs products include: drops, syrups, and capsules, and range in price from 1 oz drops for $7.49 to $22.99 for 5fl (160ml). Rainbow Light formulates the gummy drops, and can be purchased for $10.99 for a bottle of 30 gummy drops. Planetary Formula’s syrups range in price from $8.75 for 2 fl. oz. to 27.98 for 8 fl. oz. Many more brands and varieties can be found and shoppers can even compare prices, brands, and read reviews by shopping online for Elderberry products. Many parts of the Elderberry plant contain a glycoside which produces cyanide. The cyanide can build up in humans and result in poisoning. For this reason, children were warned against making flutes and whistles from the stems and branches of the shrub, and only ripe berries should be consumed. The flowers can cause gastrointestinal irritation as Elderberry is also a diuretic. As a general rule, there are no known side effects or drug interactions associated with using the Elderberry herb when prepared or formulated properly. For children (1-6 years of age) 1 teaspoon (5ml) per day and can be increased to 1.5-2 teaspoons (10ml) per day, for use during winter months. For adults the recommended dose is 2 teaspoons (10ml) per day. Dried flowers can be used as an infusion for adults, 3 to 5 grams, three times daily. Liquid Extract, for adults, use 1:1 in 25% alcohol, (3 to 5 ml) three times daily. Tincture, for adults, use 1:5 in 25% alcohol, (10 to 25 ml) three times daily.